We are very happy to have taken delivery of our 6th Spierings SK1265-AT6 mobile tower crane, the largest mobile tower crane in the world. 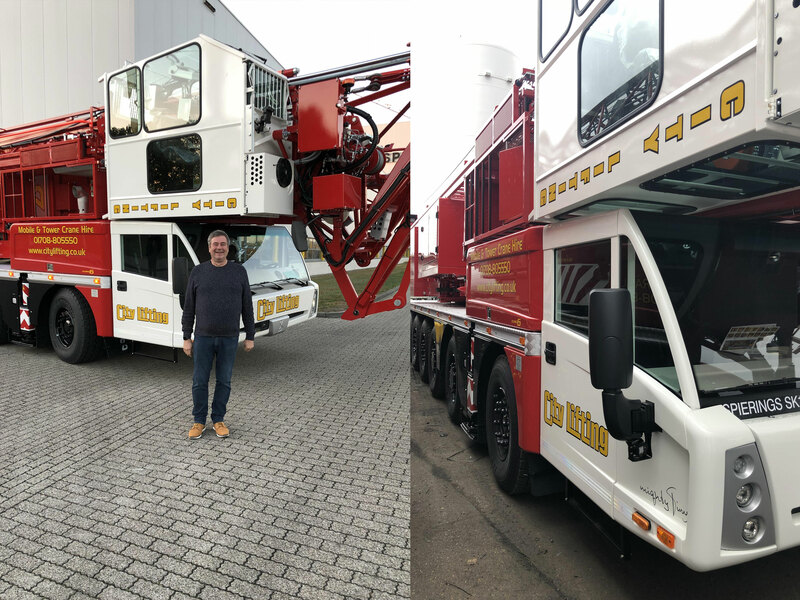 City Lifting have built up an excellent relationship with Spierings over the years and were even the first company to use Spierings mobile tower cranes back in 2000. Fast forward to 2018 and we now have the largest fleet of Spierings in the UK. The arrival of our new SK1265 brings our mobile tower crane fleet up to a total of 21, ranging from 33m to 60m. The combination of the SK1265’s powerful engine, high-performance pneumatic brake system and its excellent overview helps to increase safety on both construction sites and public roads. This powerful crane is extremely flexible despite its large capacity, making it an essential part of our fleet that is applicable for a wide range of inner city projects. All crane motions are hydraulic proportional controlled, which makes the SK1265 easy to operate and gives maximum precision and efficiency. The SK1265-AT6 is the first Spierings crane with a 5th extendible jib section. Combined with the four other jib sections, it helps to deliver an unrivalled radius of 60 metres. The crane can be operated both from the cab and from the ground, so the operator always has an optimum overview of operations. No separate jib sections are required and once in position the crane can be erected and ready to work in as little as 20 minutes.